from The Baker Street Journal. Edited and Introduced by Steven Rothman, BSI. 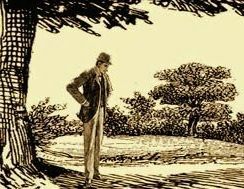 Since 1958 the Baker Street Irregulars have presented the Morley-Montgomery Memorial Award to the author of the best article published in The Baker Street Journal each year. The Award, begun by legendary bookseller Lew D. Feldman, honors the memories of BSI founder Christopher Morley and beloved Irregular James Montgomery. To celebrate the 50th anniversary of the Award, this new volume brings together these long-unavailable classics of Sherlockian scholarship for the first time, from the 1958 winner by Poul Anderson to the 2006 article by Harold Billings. 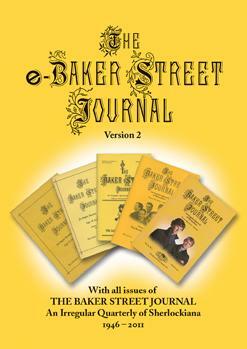 From a discussion of Dr. Watson’s wives to a reconsideration of William Gillette’s Sherlock Holmes to a beatnik version of “The Blue Carbuncle” to a history of the 1940 BSI Dinner to the location of Baskerville Hall, the collection offers treats for every reader interested in the world of Sherlock Holmes. However, if you’d like to read ALL of the award-winning essays from 1958 to 2011, you can get them in the eBSJ PDF Archive. See the full list of winning authors and article titles on the Morley-Montgomery Award page.